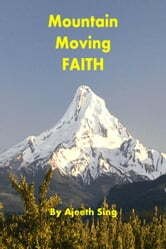 Faith is a word we have heard so often and also a word we have undoubtedly used. However faith is much more than a word that is part of our Christian vocabulary. This book has been written not to be a definite authority concerning faith but rather to highlight some of the truths concerning faith and to remind you of the principles by which your faith operates. This is important, for we learn from the Word of God that we are to walk by faith. Each of us was created for a purpose and destiny. God has a master plan for each of us to fulfill and walk in our purpose and destiny. It is each of our responsibly to find out what the key is to unlock the master plan of God for our lives. Faith is a key that enables us to unlock and walk in the master plan of God for lives. For a Christian, walking by faith should be a daily adventure that brings the blessings of God, from the spiritual realm into our lives here on earth.